I gave my gmat exam on 13/march/2019 and scored mere 620(q47, v28). Problem is this score is nowhere near to my any mock score. I am attaching my ESR for a in depth review and guidance. I thank you all in advance for your support and guidance. Self indian, started preparing for gmat from 1st December 2018 from E-gmat (verbal + quant) course. I devoted about 6-7 hrs for study daily be it on weekends or weekdays. CR---Started with CR from 1st december to 10 December. Than solved various questions of varying level 500+, 600-700, 700+. Attained an accuracy of 100% in 500+ level, 90% in 600-700 level, and 80% in accuracy in 700+ level. SC--Started SC from 15th december 2018 and completed the course on 29th december 2018. Solved questions of varying level 500+, 600-700, 700+. Attained an accuracy of 100% in 500+ level, 90% in 600-700 level, and 80% in accuracy in 700+ level. RC-- Started RC from 01st January 2019. Than solved passages from gmatclub daily 2 passages. My starting accuracy was 50% but with time and practice went higher to 80-90%. I made it a point to solve at least 5 new questions daily of SC,CR and 2 Passage, from gmatclub non-debatable source, daily starting from 1st January. 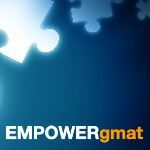 Quant--I studied from e-gmat course, practiced, and revised. During my preparation, I made a point not to see or review any question mentioned in gmatclub with a TAG of gmat prep, so that I dont encounter repeat questions in gmat mock exam. 1. Monitor was way too big, as a result it took time to read and understand the question. As i have always practiced and gave all my mocks on scree of 13" diagonal length. 4. I was out of time in the last 10 minutes in verbal section, I had to complete 12 questions and i had 10 minutes remaining, so i guessed many answers. 5. I never had the issue of time management in gmat mock, however in the actual exam I faced the time shortage in last 10-15 minutes in verbal section. 6. I think I was not able to complete the verbal section and exam got submitted. I think there is penalty which is levied on me. 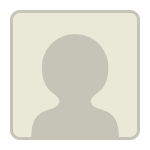 Originally posted by Yash312 on 14 Mar 2019, 02:13. Last edited by Yash312 on 14 Mar 2019, 20:49, edited 2 times in total. I’m glad you reached out, and I’m happy to help. First off, a quant 47 is not terrible, right? Looking at your practice exams, your Q47 falls pretty much in line with how you were scoring. Thus, I don’t think your GMAT was a total disaster. Verbal is a different story. While there are a variety of factors that may have caused your verbal score drop (some of which you listed), it's likely that your score dropped because some of your verbal weaknesses were exposed when you took the GMAT. Scoring high on GMAT verbal tends to involve using logic and noticing key details. However, it is possible to get some verbal questions right by looking for patterns that you have already encountered in your preparation. Looking for patterns will not always work though, and if the patterns with which you are familiar don’t show up in the questions that you see on the actual GMAT, your verbal score will not be very high. So, one possible reason for the difference between your verbal scores on practice tests and your verbal score on the real GMAT is that in your preparation, you did not really learn to do what you have to do in order to score high on verbal. Rather, you picked up on some patterns that were effective in getting you relatively high scores on practice tests. To hit your verbal score goal, you probably have to adjust the way that you have been preparing. You have to focus your preparation on developing skills, such as use of logic, that you can use to correctly answer GMAT verbal questions regardless of what verbal tricks the test presents to you. With all this said, I imagine that you plan to retake the GMAT, so if you’d like some advice on how to attack your quant and verbal study plan, feel free to reach out, and I’d be happy to provide some further advice. Also, you may find it helpful to read this article about How to Score a 700+ on the GMAT. 1) What type of study routine were you following? How many hours did you typically study each week? 2) Did you use any other study materials besides the Course you mentioned? 3) Did you take any other CATs/mocks besides the 6 you listed (and what were those other Scores?)? Ans) I followed a rigid and fix study plan of 6-7 hrs daily be it weekends or weekdays. I never took a day off from studies. I revised daily all SC+CR+RC notes and rules. ans) I strictly adhered to Egmat course, and do use to solve questions from gmatclub.com (verbal +quant). I also used gmatclub quant mocks. Well, I think you are correct that there is some problem in me; Be it implementation part, conceptual knowledge or external factors (large Monitor size of exam center). Can you provide more of insight and guidance to help me achieve my score of 750+. I am okay to adhere to the strictest of plans and schedule. I've sent you a PM with some notes and additional questions. I have received and replied to ever PM. Although I cannot provide an exact study schedule, here is some general advice you can follow to improve both your verbal and quant skills. Let’s start with quant. Follow a similar routine for verbal. For example, let’s say you start by learning about Critical Reasoning. Your first goal is to fully master the individual Critical Reasoning topics: Strengthen the Argument, Weaken the Argument, Resolve the Paradox, etc. As you learn about each Critical Reasoning question type, do focused practice so that you can track your skill in answering each type. If, for example, you get a weakening question wrong, ask yourself why. Did you make a careless mistake? Did you not recognize the specific question type? Were you doing too much analysis in your head? Did you skip over a keyword in an answer choice? You must thoroughly analyze your mistakes and seek to turn weaknesses into strengths by focusing on the question types you dread seeing and the questions you take a long time to answer correctly. Feel free to reach out with further questions. For your quick and detailed reply, which included a real insight on the way I should work on to improve my score and approach. I will adhere to the same and if any doubt, will definitely revert back to you.